There was a lot of talk this year about how Paris, and its food scene, are changing. Some of the talk was regarding gentrification by hipsters in Paris and the transformation of certain quartiers of the city. It was discussed widely by people who don’t live in Paris, and by those of us who do. (And those who work in, or frequent, the area.) Among those of us that live here, it brought up some wider issues, many reflected in the very good article, The Other Paris, Beyond the Boulevards. Paris is often seen as a living “museum” – a city that is constantly referencing its past. “Improvements” often yield mixed results; the city has a spiffy new website and the auto-sharing program, Autolib, has been a hit. Yet the popular Vélib bike program is reportedly reducing the number of bikes by one-third and people are questioning if the current renovation of Les Halles is mirroring the same mistakes of the former structure, that it replaced. Few people come to Paris in search of innovation, especially in terms of cuisine. Judging from the questions that I get from visitors, most people are looking for classic bistro cooking or a good corner café where they can grab a just-griddledCroque monsieur or salade de chèvre chaud. While hamburgers are enjoying popularity with Parisians, traditional and regional French cuisine are have become harder to find. One refreshing change that’s taken place in the last few years in Paris is a younger generation of chefs (some French, but many from elsewhere, including America, Australia, and Japan) who are focusing on ingredient-based cooking, sourcing the freshest produce and grown locally, whenever possible. (Although some are focusing too much on the “concept”, while not quite putting the concept into action: I’m still scratching my head at the glacéed green candied cherries that were on my dessert at a place called Terroir Parisien, which I don’t think are grown or produced near Paris.) So while some chefs are focusing their attention on ingredients, as always, there’s a danger of others latching onto the concept, but not quite practicing the principles behind it. French cuisine has taken a few blows over the last few years as older bistros and brasseries have withered in quality or became chains, with the food becoming an afterthough. So this younger generation of cooks and restaurant owners – yes, many of them resembling hipsters – have been concentrating on bringing things like good coffee, local produce, wine from smaller producers, and sustainably sourced meat and fish, to the forefront of menus. Globalization isn’t always a good thing, but in the case of food, it’s bringing a wider perspective to Parisian cooking and now you can find vegetarian restaurants in Paris, a phrase which previously elicited chuckles when mentioned. (Although it’s still hard to find creative, interesting vegetarian fare, and I think I still have some of the needle-like leaves of dried rosemary stuck in my throat that completely encrusted the top of the vegetable tart I ordered at Café Pinson.) Still, it’s nice that places are starting to make the effort. And two Americans are starting a food coop in Paris, which will bring high-quality, local foods to people in Paris at much lower prices (which will also pay the producers more) – and I’m not sure anyone can find something to complain about that. 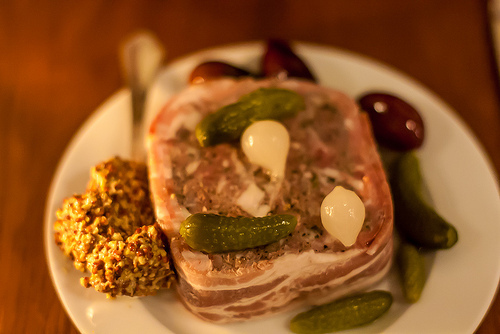 Buvette Gastrothèque has landed in Paris in the gentrifying neighborhood of Pigalle, which in spite of the New York Times article, still has a gritty fringe. There are still “hostess clubs” where you can have a bottle of bottom-shelf Champagne with a scantily clad woman, then get socked with a €500 bill for the privilege – and the bottle. (But the trip to the ATM along with a bouncer to collect the cash to pay for it, is free.) But now the neighborhood also boasts good coffee shops and a two-story natural foods store, as well as pastry shops, restaurants, and bars with top-notch (and regularly priced) cocktails. 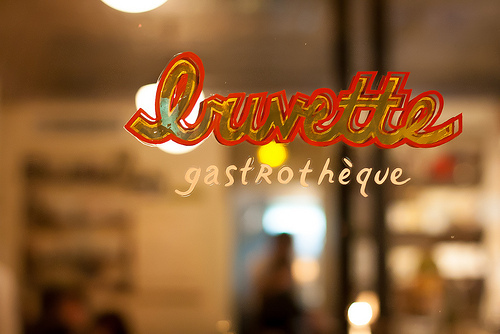 Amusingly, Buvette Gastrothèque is a New York-based restaurant that is based on the concept of a Parisian wine bar, which has been brought back to Paris. That’s evident by a cute little chalkboard by the door, nestled amongst some baskets of food, announcing that there’s cassoulet on the menu the night we went. When you walk inside, you realize that someone has created a picture-perfect little buvette, or a place to drink, with all the details perfectly in place. You can start with a cocktail, or an apéritif, or go right to wine, which we did. I had a white Beaujolais, which was lovely (then moved on to Riesling) and we ordered a selection of foods on the menu, all of them “small plate-style” foods. Since vegetables are rarely well-represented on Paris menus, it was nice to see some salads on offer at the bar. We ordered the brussels sprout salad that my dining companion sent back because he thought the oil was passée. But we kept the individual Hachis Parmentier, a meaty casserole topped with pureed potatoes. It had a tinge of star anise in the sauce, which added a vaguely exotic flavor, while still honing close to the classic. But like many of the classic dishes of French cuisine, it’s best when cooked a long time in a large, wide casserole or baking dish, so the sauces reduce and the potatoes meld and mingle with the meaty juices underneath and you get all those crusty bits around the edges. Individual servings don’t necessarily do this kind of dish justice. I enjoyed the Croque forestière (grilled mushroom sandwich), served on toasted bread with cheese, although it was hard to cut on the small plate (others who have dined here have suggested they get bigger plates, and I agree) – for this one, I recommend they wrap the little warm sandwiches in parchment paper, and cut them in half so you can pick them up and eat them. Parisians normally eat warm sandwiches with a knife and fork, but in this case, the concept of le street food might want to be adopted. I can’t really offer a comment on the taste of the kale tartine since the plate was so small, all of the finely shredded kale tumbled off when we cut into it. My suggestion would be to mash it into some fresh goat cheese and roasted garlic, and smear the paste on thinner pieces of the toasted country bread than it was served on. There was no way were we going to leave without ordering the chocolate mousse (shown at the top), which was presented in an enormous vessel, rising up and over the sides. It was very good, and the tarte Tatin looked like a winner as well, although it was getting past my bedtime. 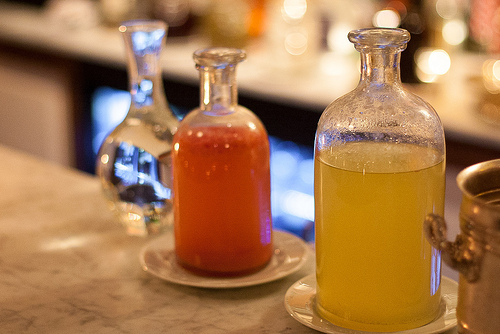 Buvette Gastrothèque has been popular since its opening with both locals and visitors. And it was obvious that they have carefully chosen the wines and the ingredients that the kitchen was using. Since it’s open from morning ’til night, non-stop (and non-Paris style), if I lived in the area, I’d be inclined to stop in mid-morning for a coffee and pastry. 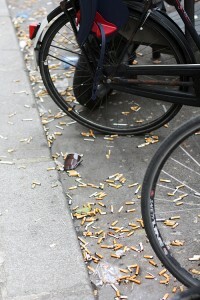 Not unique to this restaurant, but something that’s becoming a frequent sight in Paris, are guests that sits at tables with unlit cigarettes dangling from their lips in anticipation of the moment when they can race outside and light it up. Or they’re sitting with a group of friends, all of them with heads buried in smartphones. I think when you go out to eat, you’re paying good money to enjoy your time in the restaurant, so let the staff and kitchen do their job. If you can’t sit through a meal without racing outside to light up (which I saw a group of four diners do the other night at another restaurant, just at the moment when the waiter was setting down their main courses) or to constantly check your voicemail, you might want to reassess your priorities. Or maybe I’m wrong, and I need to reassess mine. Our check for two was €101, with €59 of that being three glasses of wine each, which is the downside of globalization (ie: New York prices for wine, in Paris.) So even though this is called a buvette, you might want to spring for a bottle right off the bat, rather than going the by-the-glass route. The next few years, I think, we’ll see some dramatic changes in the Paris dining scene. 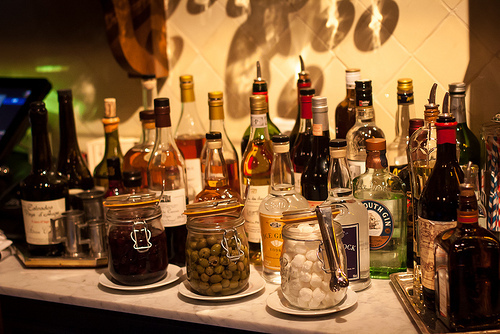 Wine bars are proliferating. 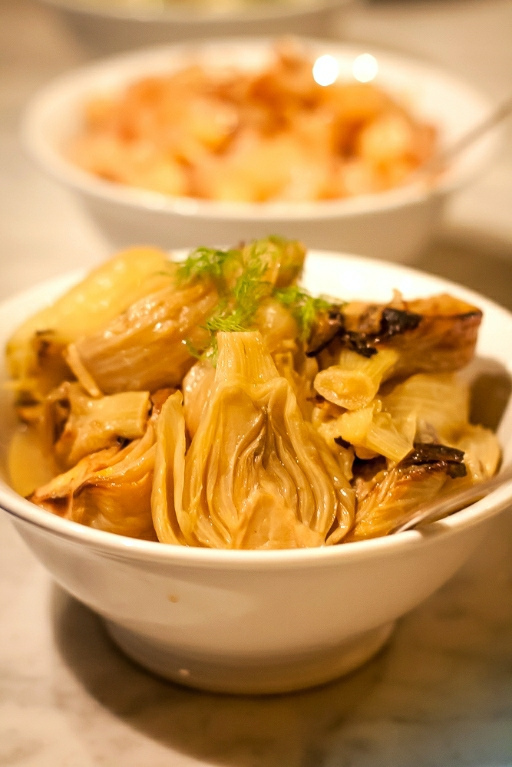 Although not quite yet realized, vegetables are getting a little more attention. Young French cooks and entrepreneurs are adopting the idea of “le street food”, or more casual, free-form styles of dining, using French ingredients. Coffee is finally getting the attention in a city where almost every other aspect of the dining experience is scrutinized for quality. (I was laughing with my friend Pim recently, that when she wrote about the bleak coffee situation back in 2005, and I did in 2008, we were roundly criticized for critiquing the coffee. Quelle difference!) And best of all, minds are open to other possibilities. Which I don’t mind at all. Note: On an aside, I’ve been adding short restaurant write-ups to my monthly newsletter. If you’d like to get it, you can sign up here. Interesting review. Buvette is one of my favorite places in NYC, partially because it brings a somewhat Parisian air to the dining scene here and I love the idea of sharing plates and some of the cold stuff is fantastic. It is a really cozy and intimate place here. Great to hear that you think veggies will get a bigger part on the menu. I love veggies – and I will never forget the Clear Head (Prague) – one of the best veggie restaurants I visited and I hope to see more like it around! Lily: I (and others) keep thinking about how great it would be if someone opened a restaurant in Paris that focused on vegetables. (People often point to Arpege, which does that. But the €400+ per person price is kind of steep…) But I was recently in San Francisco and went to Greens, and in London, to Grain Store (owned by a French chef) – which focused on vegetables, and are very good restaurants. I think one would be a big hit in Paris and hope that someone could do well if they opened one here. Asha: People in Paris don’t normally share plates of food – and food is traditionally served in courses. I have French friends (who are young, and not stodgy) who still eat their meat in one course, and vegetables as another, etc. – I think it helps to imagine if a Frenchwoman opened a New York deli in Paris that was a hit, then opened one in New York. It’s kind of an interesting idea to ponder .. I adore your blogs. They’re like taking a mini trip without ever leaving the house. Perfect way to start my day. 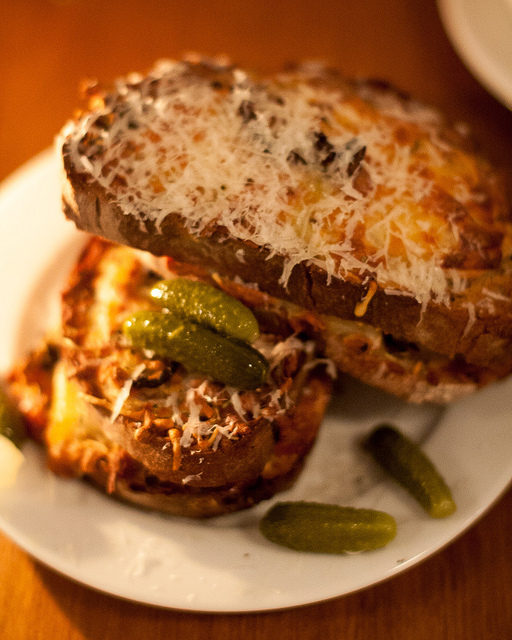 The Croque forestière you write about reminded me of the one I had in Paris last fall…. Oh I could easily go to town on that chocolate mousse! I don’t care how old-fashioned it is, it is still probably my favourite dessert of all time. 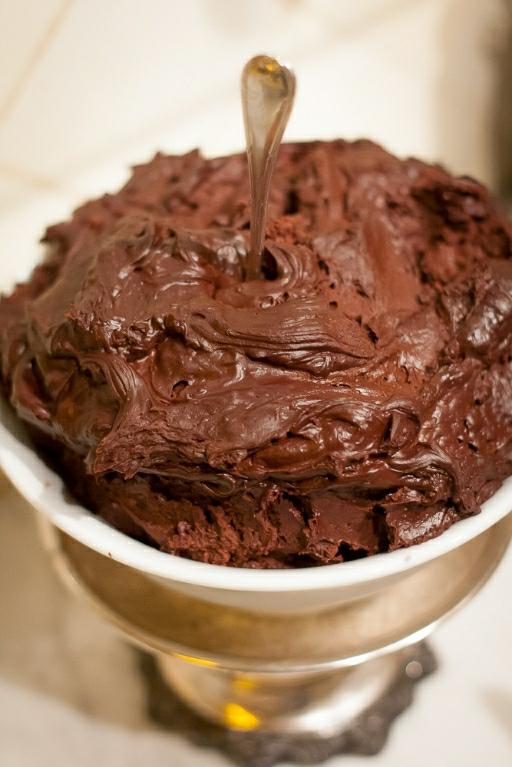 I love a good chocolate mousse! Actually, I’ve taken to using the flashlight app on my iPhone there to read menus since so many places are really dark these days and it’s impossible to see what I’m planning to eat! Thanks, David, that was fascinating from beginning to end. It was so interesting to hear what’s going on in Paris – I’m beginning to think Les Halles is cursed! As for Buvette, I’m still trying to get my head around a pastiche Parisian place opening in, er, Paris… I think they call that postmodernism. Or, as your dining companion reported your table neighbour saying, un peu Disney – hilarious! I haven’t been over to see what Les Halles looks like at the present state, but friends who live nearby tell me it doesn’t quite resemble the plan that was originally presented. I think the whole place should be bulldozed and they should put up a big enclosed market, featuring products (meat, produce, honey, oils, etc) from the region, and make it a lively place with cafés and restaurants serving farm-based products. But that may be, as they say, très Brooklyn, yet I keep thinking that would be the best use of the space. But no one asked me …. I was laughing as I read your comment on the mustard. My husband ordered a pork medallion sandwich and it came to him with two rounds of meat on bread and that was it. It was very dry and hard to eat so my husband asked for the mustard. Our waiter yelled at us but since it was in French we didn’t understand him. Tone is universal. Tone breaks through all language barriers. We understood the tone and that we were totally out of line. I don’t really understand why they care if you eat mustard on something or not. Call me American. I think we (Americans) are used to the “Have it your way” culture, and I remember my French partner being stunned when I wanted to put a swipe of mustard on the ham & cheese sandwiches I was preparing for a train trip. In general, French people don’t put mustard on cheese (although in Alsace, they may, with cheeses like muenster) and although mustard is a popular condiment with steak-frites, it’s not usually offered on sandwiches. It’s usually butter! @Cynthia, I wonder if it has to do with what you are eating? Don’t know. 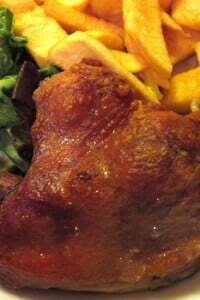 We ask for moutarde for our frites all the time when in in Paris and never get a reprimand. Maybe we just eat in lower-end places! I know we were looking forward to “French Bistro” cuisine, but I surely hope that it is always somewhat current and not just covered in heavy sauces. I think that it’s possible to achieve both. Well, we will need to make it back pronto to continue this important investigation on progress in the Paris dining scene!! With temperatures in Montreal dipping to minus 20 C, your review and all those of 2013 warm my heart. Thank you for all your insights. All the best for 2014.
still prefer my milk raw v. homogenized, eh? Happy new year David! I love reading your blog and have 3 of your books. I made your Pear/apple polenta crisp recently. You put a lot of work into your writing and observing and I look forward to reading your 2014 adventures! Hi David and happy new year! It’s a very interesting article, and it makes me sad a little bit. I like American mimicking French restaurants in America, especially in NYC I must say, and I like them because of the service and all the details that are so different from France. But I don’t get the point of them in Paris (of course I have lived I NYC, so it’s easy for me to say). I miss the times in Paris when you could eat well, classic unsophisticated French food for a normal price. Those times seems over. Now a hachis parmentier is either considered something fancy, when done properly (still it’s just beef and potatoes and a little bit of savoir faire), or they serve you something frozen that is horrible for 12 euros. I don’t get it. Not being a Rockefeller and caring about what I put in my body, and wanting to be treated as a (paying) human being, I must say I have more and more trouble to go to a restaurant in Paris. I stick to my old time favorites that are still up and running. I think I gain a pound or two every time I look at the photo of the chocolate dessert! And my tongue hangs out of my mouth. Happy New Year, David! I just baked your Chocolate Idiot (Orbit) Cake for our celebration this evening! It looks great, smells heavenly, and it was so easy to make! I love your daily blog, as well as all of your posts about what is happening in Paris! Thank you for your great work! Thank you for another lovely post, David. Always such a pleasure to read you. Happy New Year! Happy New Year David!!! Looking forward to see you at BlogHer Food 2014. 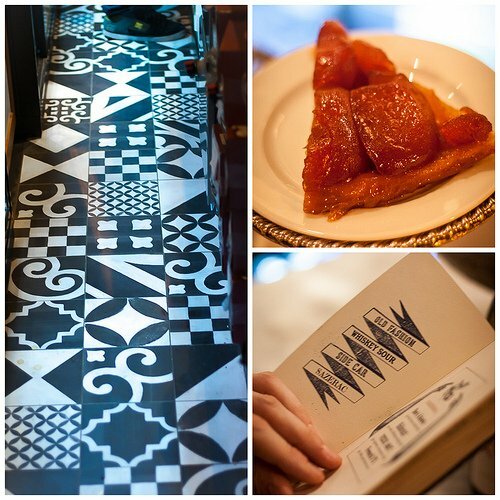 Loved this review of Buvette and the current dining scene in Paris! I just can’t see the appeal in a NY concept of a Paris bistro…in Paris. In NY, yes OK, this sort of place can evoke fond memories of Paris, but in Paris it is blatantly contrived, IMHO. 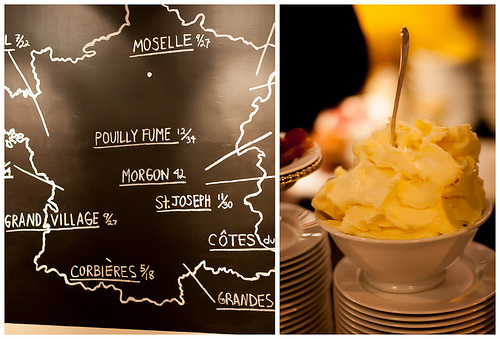 Your comment about Terroir Parisien, another concept bistro in Paris made me recall our recent dinner there. I do love their concept of using only locally grown or produced ingredients from around Paris, (and wonder, too, about the green glacee cherries.) I foolishly asked our waiter for Dijon mustard, and he tsk, tsked me, and informed me that they only served Moutarde de Meaux pommery mustard from Meaux, near Paris. Of course, I should have known better. Maybe there is a Parisan confiseur producing glace cherries? Fernand Point is my favourite chef of all time, and he had the right idea. I’m a vegetarian and should have been quite taken by this article but all I can think about is that mousse. What a great photo. I’ve actually come back here several times just to gaze at it. 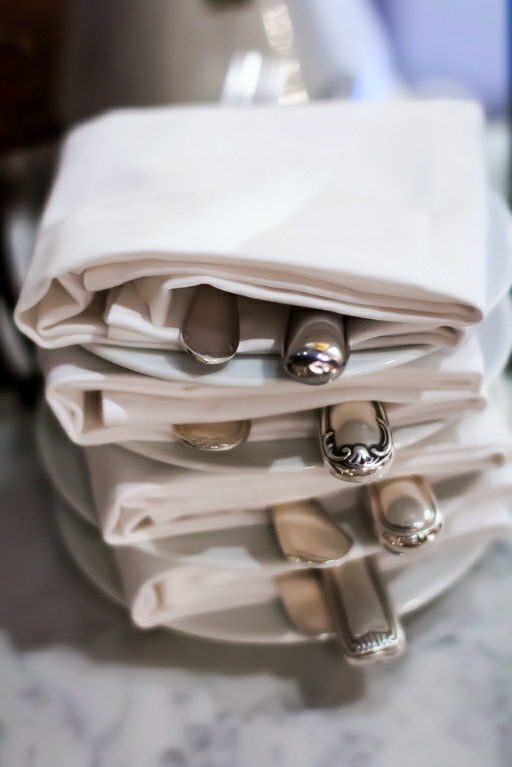 I couldn’t leave a comment on your monthly newsletter, so I will comment here on how much I enjoyed the pics of your Christmas table — the table cloth, serving dishes, wine and champagne glasses, the cheese board — all were lovely and real, without a “styled” look. Thank you for this glimpse. Feliz año nuevo from Mexico. I just finished “the sweet life”. It made we laugh out loud, I was sad to finish it, so I found myself wandering around your blog. I was in NY in October and quite by happenstance landed at Buvette for lunch. It was by far my favorite food memory of the trip and I thought myself so special for finding this little gem. I guess it is not that unique or secret, but glad it is getting good recognition. (That is if the Paris location fares similar to NY.) cheers! David, I agree with you about Les Halles. But then, I had friends who were very much opposed to its destruction way back when. Of course it could no longer function as the wholesale centre for modern Paris, but it could have stayed as a beacon city market as exist in several other foodie places, such as Barcelona. And part could have been given over to cultural industries and exhibits. 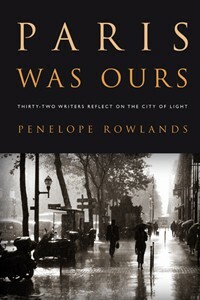 I read the article about Paris beyond the boulevards. I have stayed for extended periods in Montreuil, Saint-Denis and Sain-Ouen. I was able to find very good baguettes, and indeed some of the best intra-muros ones are in cosmopolitain places on the edges of the city proper, and made by African boulangers, from the Maghreb or West Africa. It is also not true that one “rarely hears French” on public transport past République – many of the “immigrants” are second or third-generation French. Bonne année à vous deux, et aux copains et copines! Tanti auguri!!! Indeed, the weather has been utterly ghastly here in Montréal. A few neighbours huddled together on New Year’s Eve – none of us really wanted to go “out”. Fascinating info about the Paris food scene. I picked up a book in a bookstore yesterday called “Love Food Love Paris” by Kate Whiteman published in the UK in 2006 which has lots of information about the Parisian food scene, together with some gorgeous photos, however it’s several years out of date now and no doubt some things have changed (and are changing). So it’s great to be kept up to date by your blog David. lagatta à montréal: There apparently were insurmountable problems with the old Les Halles and, of course, a shopping mall likely brings in more revenue (taxes, rent, etc), and the RER/métro station is now a major transit hub. So there isn’t a lot of incentive to rebuild it as a market. However I do contend that even if those kinds of things don’t bring in the same revenue, they improve the quality of life for residents and are good for tourism, something the city of Paris often focuses on. And yes, there are interesting things/foods toward the edges of the city. I wrote about the Barbès market a while back, which is one such place. Anne: Things do change and people write what they want to write about. There are lots of books about Paris – everyone has their own view of the city, but there have been propositions to the government to regulate restaurants or at least note which ones prepare food on the premises, and which use pre-prepared food. (Which had been an issue that’s been simmering.) Of course, there are fabulous artisan bakeries and chocolate shops too, so like any city, it’s a big mix and I try to point people to places I like and write about those who are doing what I think represents the best of the city. Carole: Yes, you have to know where to eat in Paris. If you just walk into any café, you might be disappointed. Sorry that you’ve had a few clunkers here. I try to point people toward good places in Paris – often younger chefs doing the right thing, using good ingredients. Places like the rue de Nil reflect a renewed appreciation for seasonal, well-sourced, and sustainable fare and are worth checking out on your next visit. Janet: I doubt there is someone in Paris producing green candied cherries ; ) but it was nice to be pointed toward mustard from Meaux which is great stuff. Interestingly, most of the spices used in making mustard in France are from Canada, although some producers are trying to grow and use spices cultivated in France. Fernand Point was pretty amazing in other ways. He invented the Marjolaine, one of my favorite cakes, and I guess was quite the prickly character in other ways. I loved reading your take on the Paris restaurant scene, which is so similar to what is happening in Rome right now. Nothing stays static, for better or worse, and a younger generation has taken things in hand and are creating – and recreating – an entirely new set of places to eat. Hipsters, street food, reinvented trattorie….some good, some not so good, but all a good sign of enthusiasm and movement in an otherwise stagnant economy. And on another note, I finally made it to Buvette in NYC last week, so was really interested to read your take on the Paris place. It’s literally a photocopy (I guess) since some of your photos look exactly like the ones I took. I guess everyone has now jumped on the McNally bandwagon of recreating faux bistros that are just as charming as the originals. I haven’t been to the NY branch, which is very popular, but it’s interesting it’s a photocopy of the one in Paris. I think in New York it works to have accoutrements that say “Paris” in a French restaurant, to reference the city. In Paris, it’s not imperative since the city already is Paris. I think a lot of buvettes, bistros, etc in Paris are appealing because of their age. So it’ll be interesting to see how this one evolves. I must say I prefer the NY version. I couldn’t tell why since the menus are quite similar but somehow there is a warmer atmosphere. About the French location there are a couple of things which make you understand it’s from NY… First it’s one of the very few places where you can eat kale and second they serve Brussels sprouts! Ok, it might be the trendy veggie on the East Coast (which is trully flabbergasting!!) but here in Paris it’s extremely unusual to have it on the menu !! First time on your blog David, I’ve already been reading it for a couple of hours, j’adore ! I personally have been to quite a few restaurants in Paris, and my opinion is that most of the improvements in the quality comes from French people themselves. I’m just saying that French cooks are not those blind, uninteresting technicians that wouldn’t know how to create without the help of those superior foreigners. This view is quite condescending and not true to the facts. Quite a few of what is considered classic today was invented in the last decades. (Yes, I say quite a few because when you have a huge culinary tradition, even a 100 new classics are still a low % of the total). Aux saisons, beure noisette, le marcab etc are just a few of the restaurants that cook from scratch which fresh produce. Many more such places have opened in the past five years. There was an interesting story about a French pastry chef in New York, who said “A Paris, la tradition est telle qu’il est dur de réellement créer quelque chose de nouveau” (“In Paris, tradition makes it hard to create something new”) comparing it with New York, where he said people were plus ouverts sur la gastronomie. Having attended two pastry schools in France, technique was taught, but any notion of cuisine du marché was not discussed. 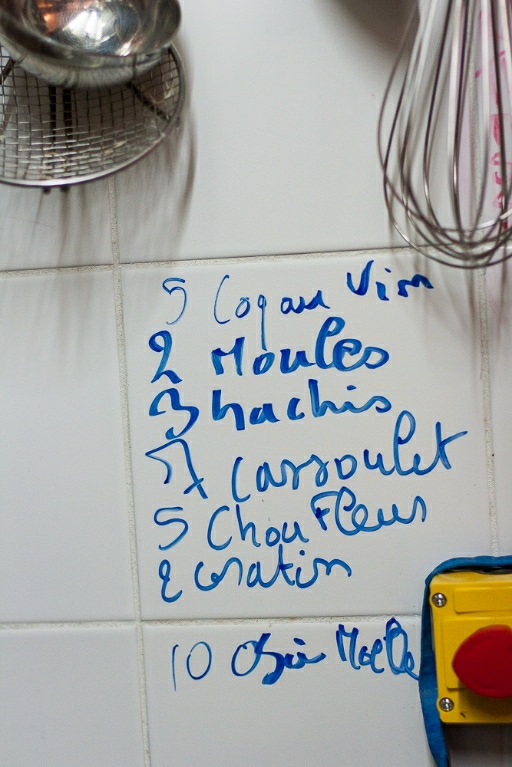 There are a number of very talented, hard-working, dedicated young chefs in Paris. Although it’s not always possible to go into restaurants and take pictures for the blog, then write about them all, I’ve featured some favorites in posts here: Vivant, Frenchie Bar à Vins, Terroirs d’Avenir, Jean-Charles Rochoux, Patrick Roger, Septime, Fouquet, En Vrac, Maison Castro, and Le Siffleur de Ballons. I also write up a number of restaurants in my monthly newsletter that don’t appear on my blog because so many new and interesting places open (and sometimes close) that I can give folks a more immediate impression there.